India on Thursday launched a programme to rein in dangerous pollution levels in more than a hundred cities that the government said it expected to improve air quality significantly. 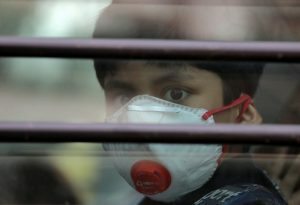 India is home to the world’s 14 most polluted cities, according to the World Health Organization. Toxic air claimed 1.24 million lives there in 2017, a study in Lancet Planetary Health showed last month. Last week pollution surged to “emergency” levels, as the Central Pollution Control Board’s air quality index of poisonous particulate matter hit 440, more than 12 times the U.S. government’s recommended limit. “We hoped that the NCAL would be much stronger, would provide sector-wise targets, specific targets for the cities and mention a strong legal backing to take action against non- implementation,” he said.